I have been reading sooooo many decorating, crafts and DIY blogs this past month (and enjoying it). I have been inspired! I'm pretty sure I will be trying chalk paint in 2012, maybe beadboard paintable wallpaper, and scouring garage sales and consignment stores in the new year with a little more gusto. This has been a real departure for me from my usual source for new decorating ideas, magazines. I also used to be a faithful HGTV fan but programming changes at the network to an all contemporary, all the time format, and house staging and house hunting programming, none of which pertains to me, caused my viewing time to dwindle. I like my home to be filled with nostalgia, pretty fabrics, pretty flowers, pretty colors, my personality, and probably lots more stuff than most people care to own, let alone display. I like my pretty things mixed up with distressed and a little shabby items for the contrast. Imagine my delight when I read on Bab's Upstairs, Downstairs blog that the Polohouse blog would be featuring a "collections" link party on the first of January. I hope I can hook up with other crazy people like me that love collecting stuff. Here is another one of my favorite collections, lady portrait plates. 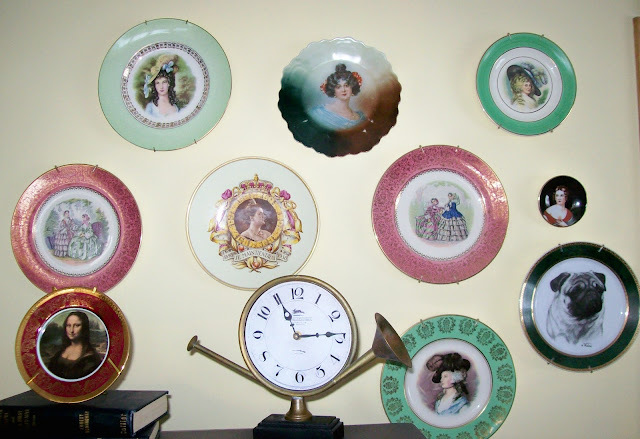 Someday I hope to have a very feminine bedroom decorated with my lady headvases, lady portraits, lady portrait plates, and lady figurines. 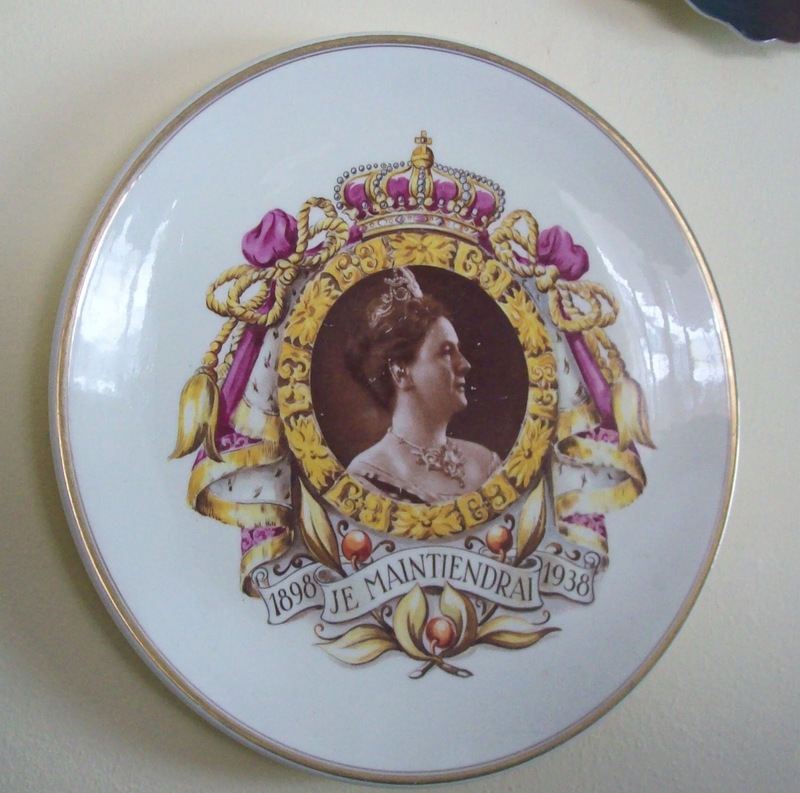 This one is marked made in Holland and looks like a royal commemorative plate. 1898 - 1938. This one is a Royal Staffordshire. This little one is marked "made in occupied Japan". 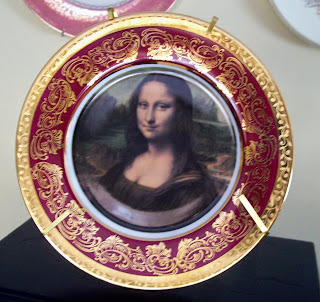 This Mona Lisa plate is marked Limoge and I just picked it up in December at a consignment shop for less than $10. Unmarked except for a number, but very beautiful. My favorite! 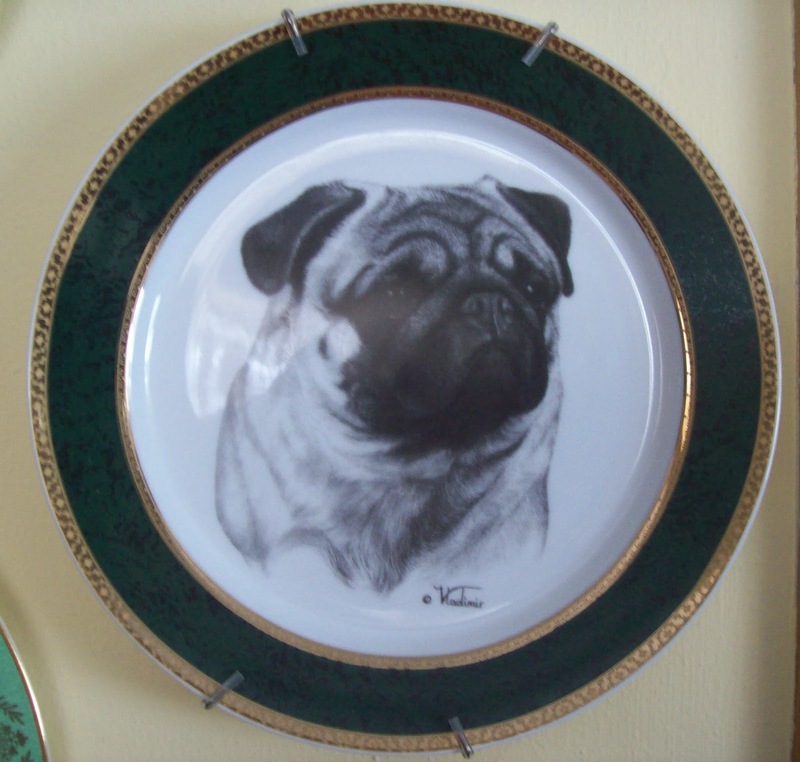 This is a Rosalinde pug portrait plate thrown in for a laugh or Candice Olson's "the unexpected." I have two of these from Salem China, just slightly different. And there they are, on display on my living room wall. I seldom add to the collection. I don't want it to get so large that it can't be displayed on one wall. I prefer many smaller collections to a huge collection of one thing that fills shelves or even rooms. 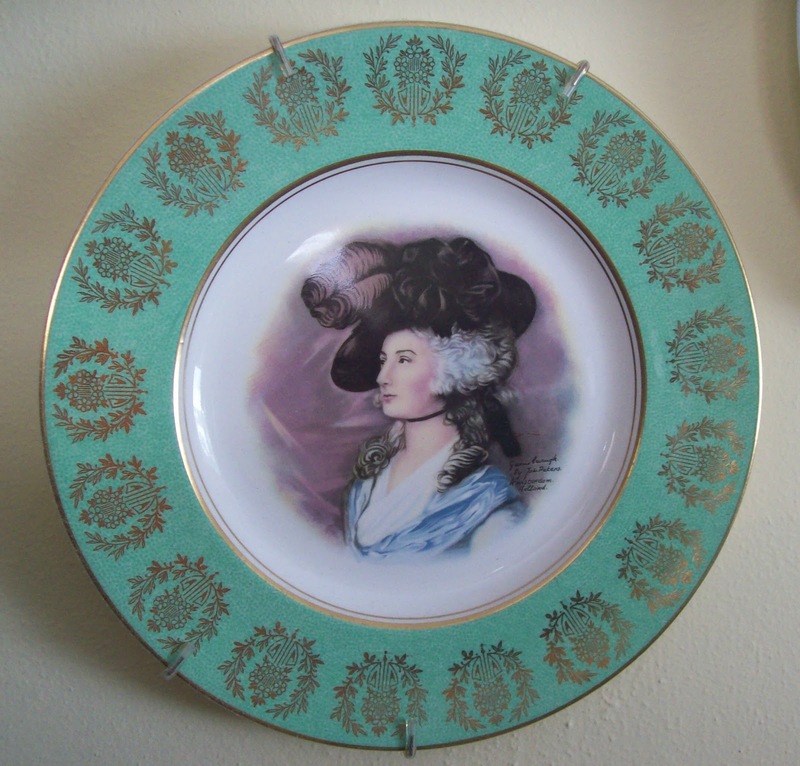 Hope you enjoyed my lady portrait plate collection! I think you might be my twin? *winks* I found myself nodding to pretty much everything you said, including HGTV....They took a wrong turn for me too. I'm also a crazy collector of organized clutter (Well I like to thing it's "organized" Lol!) who loves the nostalgia of pretty old things. I'm so happy to have found you through Feathered Nest Friday! 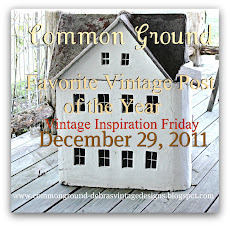 I did check out your blog Vanna and I love your style! 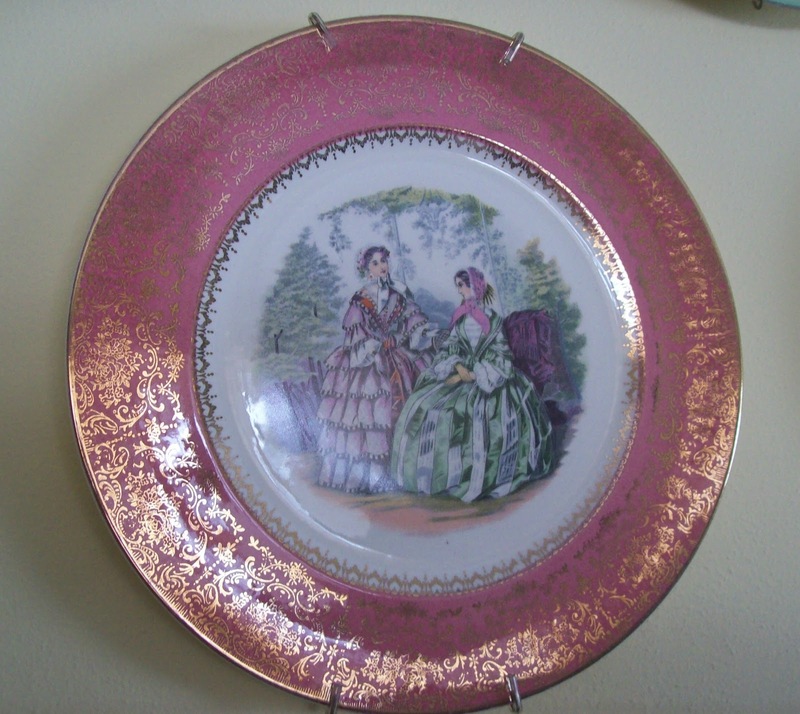 What a wonderful collection of gorgeous plates! I'm happy I found your blog!! 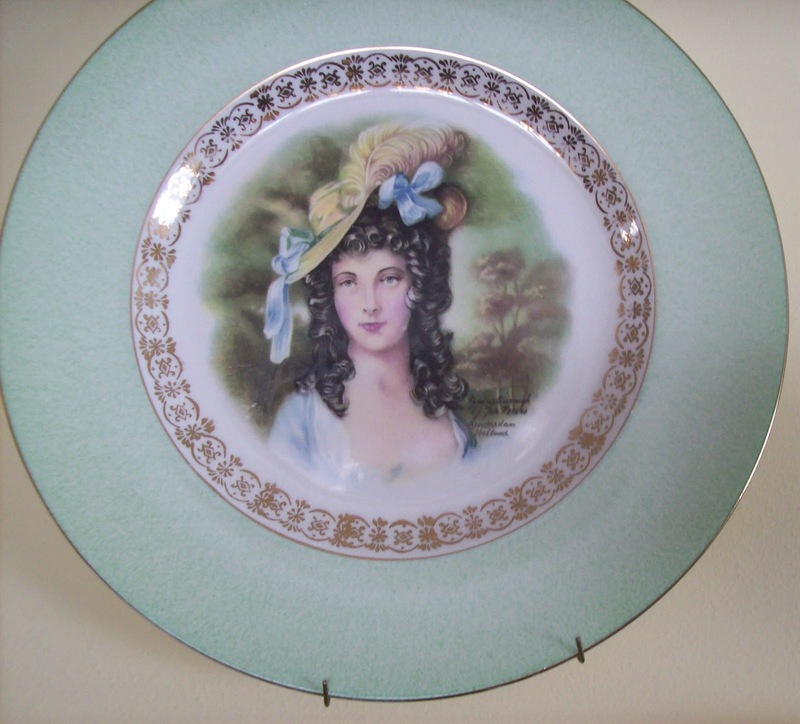 I LOVE your ladies' plates collection! Thanks SO much for sharing this with all of us. I am right there with you.... looking less and less to tv and magazines for inspiration, and more and more to friendly bloggers like you to wow me with your lovelies! 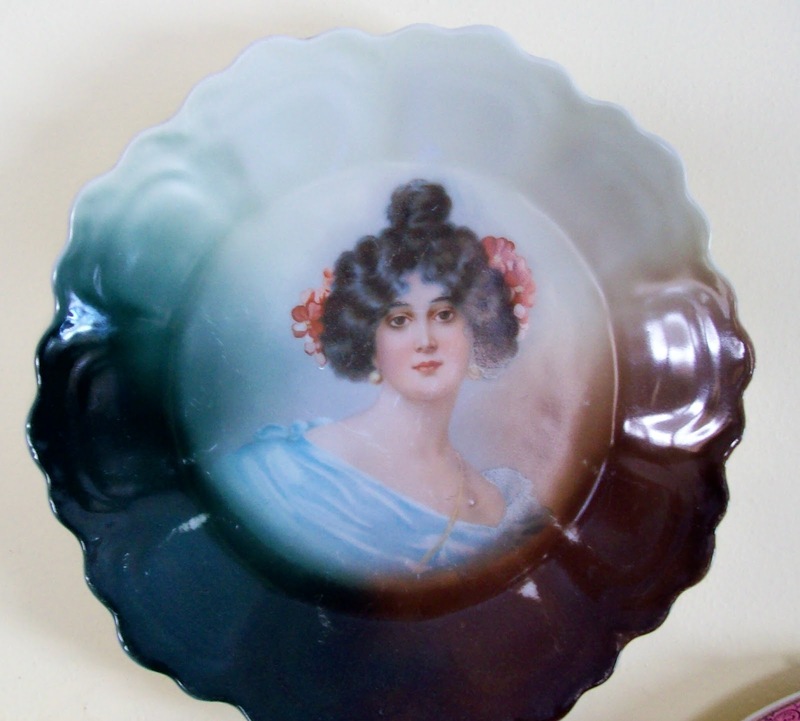 I appreciate new and contemporary decor, but I love the oldies and goodies and love a piece with history and charm. Sounds like we have lots in common! What a beautiful collection. I love to see them and have a few, just something about those faces. So Lovely! Thank you for linking up at Feathered Nest Friday! I enjoyed your lady portrait plates and I think it's a very unique collection; I haven't seen too many of them. I like your advice, to not let a collection get too big. I do that, and then it looks like a retail store and isn't the look I'm going for at all. It's better to have a few good pieces and really display them lovingly and artfully. I'm liking the way you do things! Just found you tonight, I think thru My Romantic Home (blogging like crazy and forget where I've been!). I've looked thru some of your archives and another thing I like about your small nooks and collections is that you're very neat about it; it's not too busy for the eye and just about right. 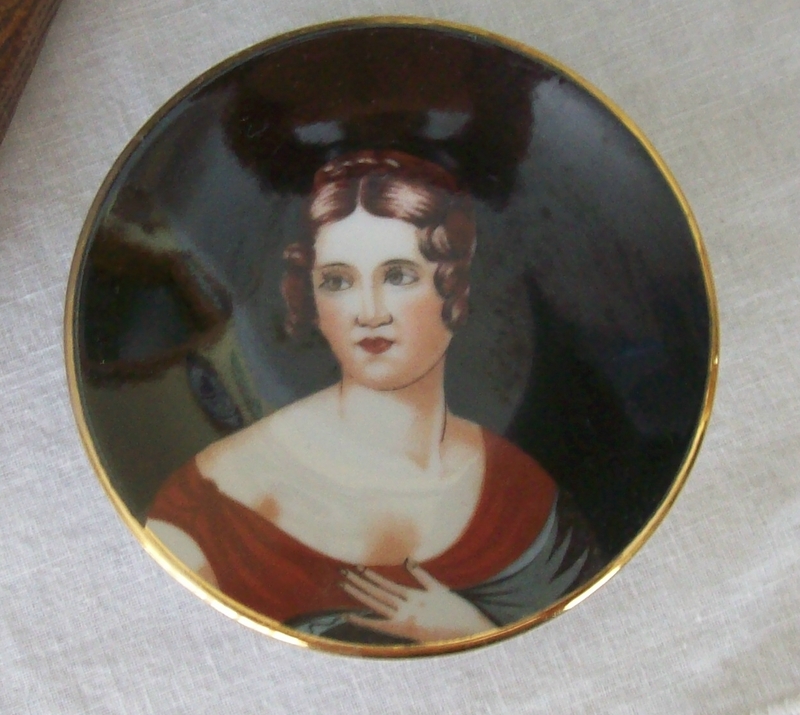 I also collect lady head vases, lady figurines and lady portraits. Kind of a celebration of women!